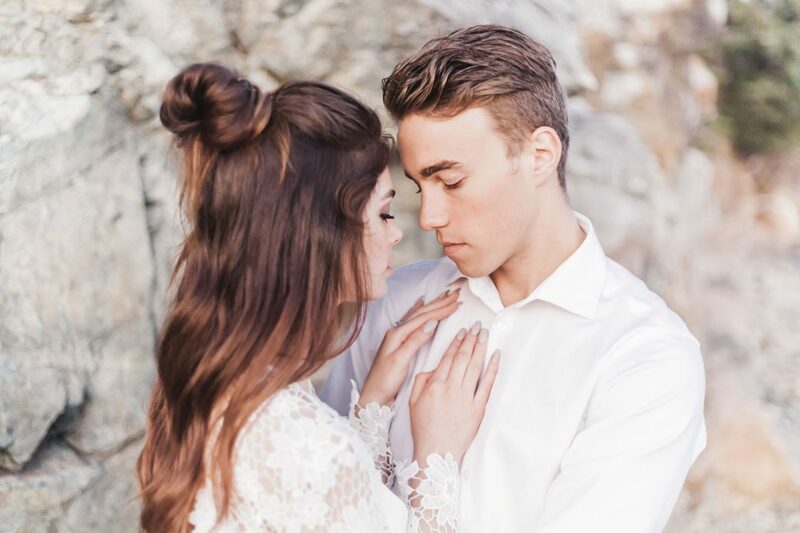 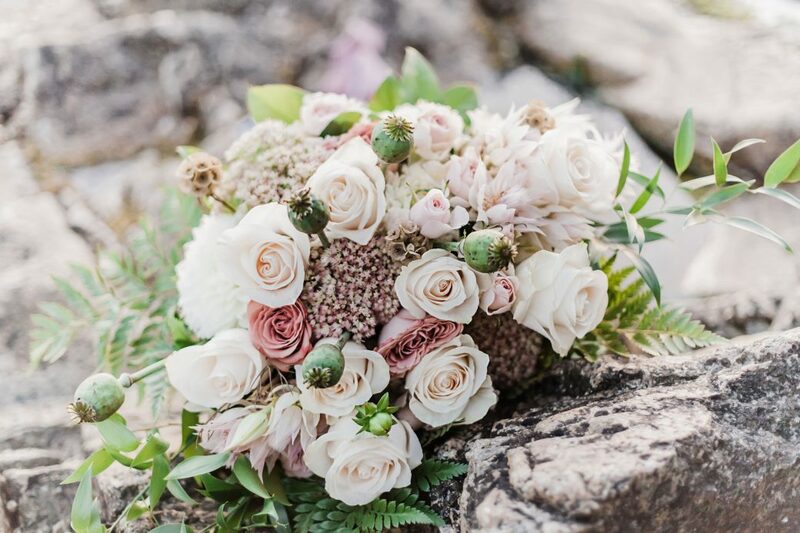 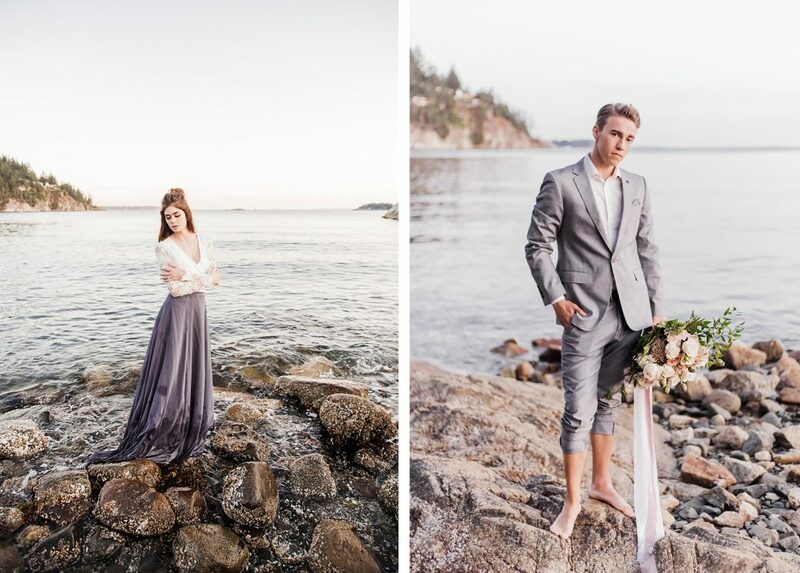 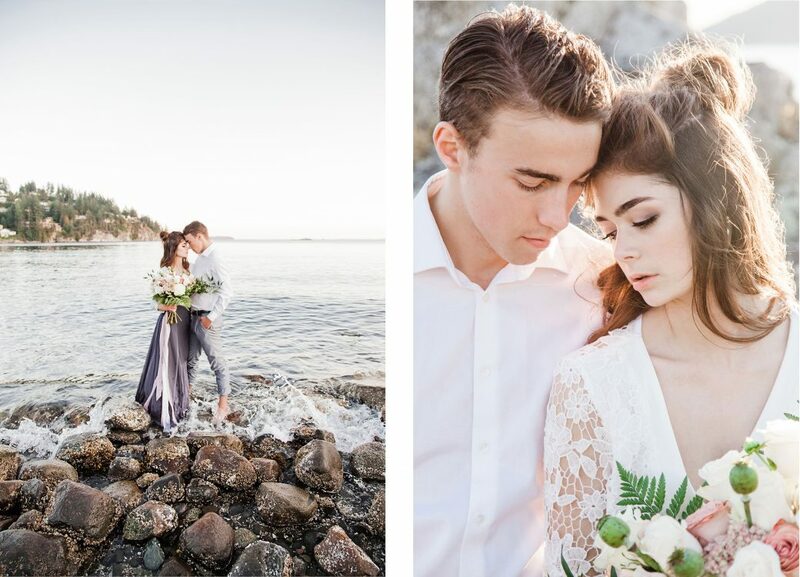 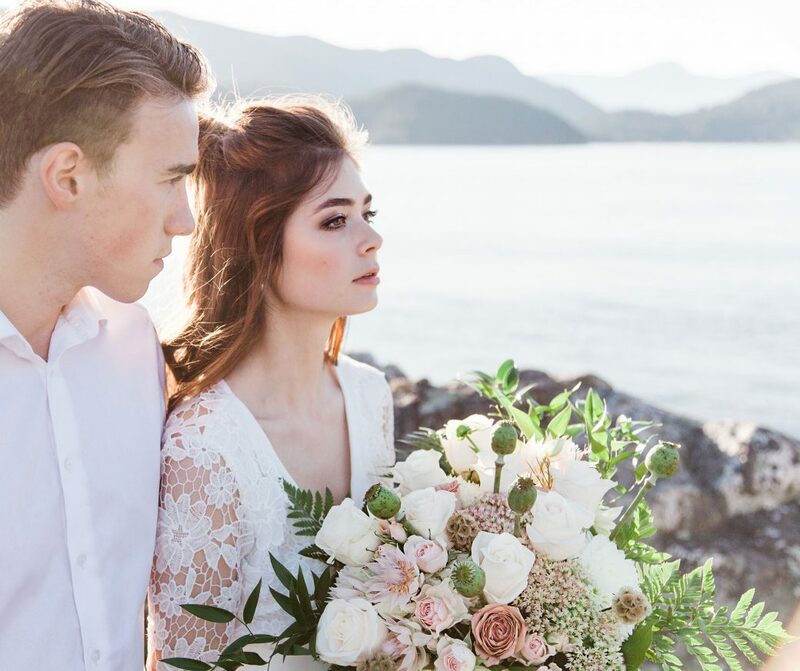 As the sun rose along the rugged coastline of Howe Sound in West Vancouver’s Whytecliff Park, this ethereal styled shoot was inspired by light and the everlasting relationship between rocks and water; shaping each other throughout time. 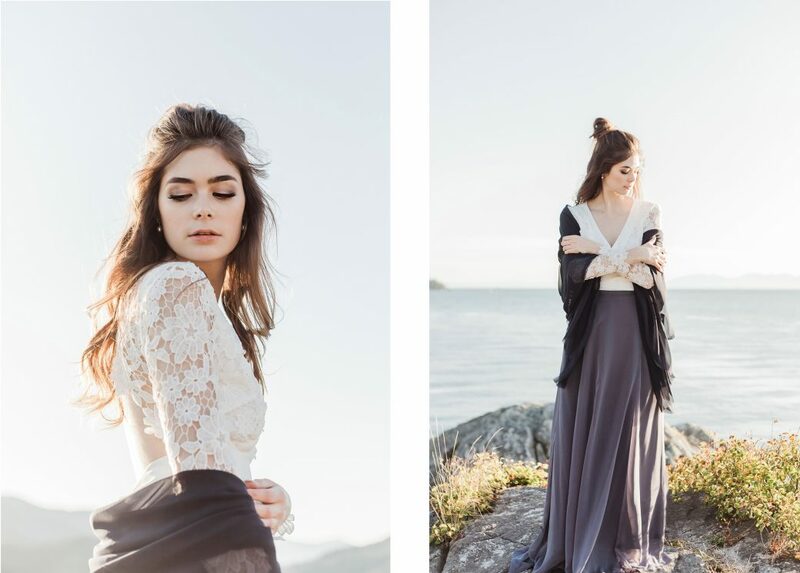 As she rose from the crashing waves along the Pacific Coast of BC, by fate, her delicate lace arms wrapped in the love of his. 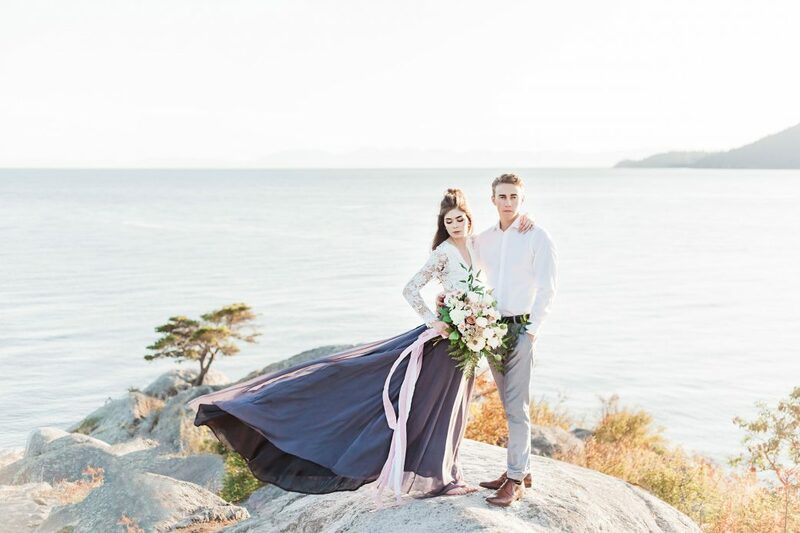 Among the rocks and shoreline, they wander with the warming sun at their backs and endless adventures ahead; he accepts his bride devotedly.